The infinite faith and devotion in God leads us to surrender ourselves in His holy feet. By touching the feet of a deity or spiritual Guru, we release our ego and get rid of all the negative energies, as our real identity is realized. When the holy feet have been given upmost importance in our Vedas, then how can we overlook the magical power of ‘nectar from the feet of God’. The sacred and valuable ‘Charnamrit’ meaning, Charan- feet and Amrit-holy nectar from Gods; has always been consumed by us at religious places, yet very of us thought about its importance. Charnamrit is commonly composed of five main ingredients i.e. milk, curd, ghee, honey and sugar. Water and tulsi (basil) leaves are also added by few to this holy mixture. All these ingredients which are commonly used by us in the daily routine, combine together to create a divine nectar that bestows us with bliss and purity. Milk – for purity and piousness. Curd- for prosperity and progeny. Honey- for sweetness in our nature. Apart from the sacred importance and divine nature, Charnamrit is also efficient for our body and resolves our body issues. 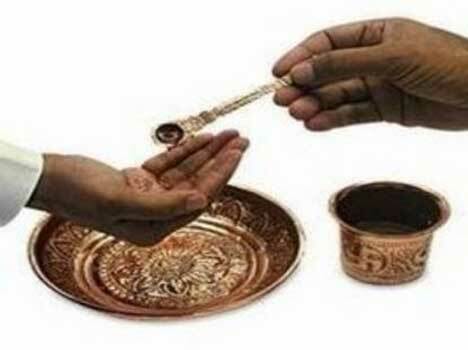 The holy nectar is generally prepared and kept in the copper or brass vessel that provides an added advantage for terminating the infectious germs inside our body and enhances our immunity power. Basil leaves acts as a strong agent against diseases and eliminates the chances of illness. It also enhances our memory power and provides strength. Thus this holy nectar acts as a magical solution that not only showers us with positive benefits for our body but also for our soul. The nectar increases our faith and devotion on the spiritual path and takes us more close to our ultimate destination. Both inner and outer bliss is achieved by it. This entry was posted in Puja and tagged ancestors, astrology, auspicious, blessings, bliss, celebration, charnamrit, destination, devotees, devotion, dharma, energy, environment, faith, feet of God, fortune, god, grace, happiness, have a little faith, health, Hindu, hinduism, holy, honey, Indian, ingredients, nectar, nectar from holy feet, pooja, puja, Purity, relevance, religion, rituals, Scientific, shubhpuja, shubhpuja.com, spiritual, strength, success, sugar, tulsi, water, worship. Time for Blessings for Nepal Earthquake Victims! The point when man becomes helpless in front of fate, where no definite answers and reasons can be obtained is the recent occurrence of Nepal earthquake disaster. The massive earthquake of 7.9 magnitude devastated the capital on Saturday, 25th April and again on 26th of about 6.7 magnitude on Richter scale. Besides Nepal, the tremors were also felt in Delhi, Lucknow, Kolakata, Jaipur and other parts of North India. More than 3,600 people have been confirmed dead, the Associated Press reported and about tens of thousands have been left homeless. The condition lead to its people searching for their lost beloved ones, collecting their belongings from the rubble and struggling hard to fulfil the basic needs. The emergency created an environment of blessings and relief from around the world, where everybody is trying to contribute on their part. 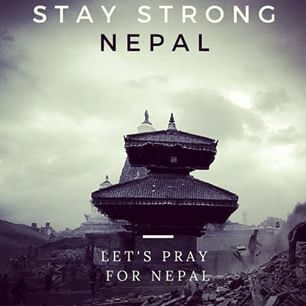 From medical aid, to sanitation and hygiene material to food and fuel, the major world-wide agencies like Ameri Cares, CARE, Catholic Relief Services, Direct Relief, Global Giving, Save the Children and The Seva Foundation; have provided the emergency relief to the victims of this tragedy. UNICEF is also conducting a rapid assessment of needs and providing special aid to children. Even the U.S. Embassy in Nepal announced $1 million as initial aid along with Italy’s Foreign Ministry and French President Francois Hollande, made emergency aid available. Considering from the scientific to religious purviews, various causes and reasons have been associated with the occurrence of the natural disaster. From the Geological Experts perspective, ‘the collision between two tectonic plates of India and Eurasia beneath the Himalayas along a fault line created friction that generated energy for the crust to rupture’. Such a severe magnitude was observed 81 years before, in 1934. As per the diverse theories of Hindus and Buddhists, some blame it upon the theory of Karmas whereas others say that such causal contingencies just happen with no relation to cosmic rhyme. So be it anything, the disaster is an alarm for all of us to get together and help each other, in whatever way possible. Along with material aid, the Blessings are also required as more than anything the true hearty blessings heal every problem. Even reverend Pope Francis and Dalai Lama expressed their condolence and invoked divine blessings from Almighty. No matter from which ever faith or religion you belong, just spare out some time and pray for the safety and security of those people. Shubhpuja also express their deep condolence for the tragedy and prays for the security and happiness of the victims. This entry was posted in Consultants, Puja and tagged 2015, 25th April, 26th April, auspicious, blessings, Dalai Lama, devotees, divine, divine blessings, earthquake, emergency help, environment, evil, faith, family, future, geological experts, happiness, have a little faith, health, Hindu, hinduism, Indian, karmas, love, magnitude, Nepal victims, North India, peace, Pope Francis, prosperity, puja, relief funds, religion, rituals, security, shubhpuja, shubhpuja.com, UNICEF, victims, world wide organizations, worship. Since the beginning of the early man, even when they were oblivious to the act of worship or any presence of God, they still adored the natural elements in some form or the other. Even if they couldn’t acquire detailed knowledge about Almighty yet they expressed their gratitude towards the various elements of nature; as water, fire, wind, sun and soil were providing them with something. So the basic idea behind performing this act is to reciprocate the supreme love which is being showered upon us and expressing our gratitude for the selfless Universe. Meaning- From the highest planet in the material world down to the lowest, all are places of misery wherein repeated birth and death take place. But one, who attains to my abode, O son of Kunti, never takes birth again. So the few fortunate ones who realize the true nature of God, because of whom we exist in this world and survive, we perform this pious act to appreciate our existence and His divine grace upon us. Mortals have the biggest tendency of making mistakes, intentionally or unintentionally; so by remembering the divine power, honouring his divine presence and seeking forgiveness, we get free from the burden of guilt and rejoice our existence. By being grateful for whatever we have received from this cosmic creation and feeling a sense of belongingness towards them, we express our honour that further leads to faith and devotion. Puja gives us the strength to surrender ourselves in the feet of holy power and staying constant at every situation. Thus, puja is an expression of the expanded consciousness honouring the whole creation and seeking for His grace. This entry was posted in Mythology, Puja and tagged ancestors, auspicious, bestow, blessings, book now, celebration, creation, devotees, dharma, divine, energy, environment, evil, faith, family, Festival, fortune, grace, happiness, have a little faith, Hindu, hinduism, honour, Lord Krishna, love, pooja, prosperity, puja, showered, shubhpuja, shubhpuja.com, surrender, universe, worship. The divine act of ‘puja’ or also known as ‘pooja’ refers to the ceremonial worship by making an offering to the image of God, as per the definition in encyclopaedia. The act performed by majority of us in our daily routine, yet very few of us realizes the true meaning of puja. It is an art of expressing our reverence and gratitude to the divine energy, by performing various rituals. It is a pious way of communication between our soul and its true master. As our physical mind needs an image to register its meaning, therefore varied objects like painting, idol, print, nature element or other such symbols are used as a source of interacting with God. Remember, the source is not the supreme energy itself, rather, it is believed to be filled with the cosmic energy of the universe. Literally the two letter word ‘PU-JA’, meaning ‘Pushpam’ and ‘Jal’ denotes offering flowers and water to deity while reciting his name. It is also interpreted in a higher spiritual definition where PU means ‘purusha’ and JA means ‘Janma’; thus an act of giving birth or to awaken. ‘Purnaat jayate iti puja’, i.e. something which is born (jayate – ja) out of fullness (purnaat – pu)’. 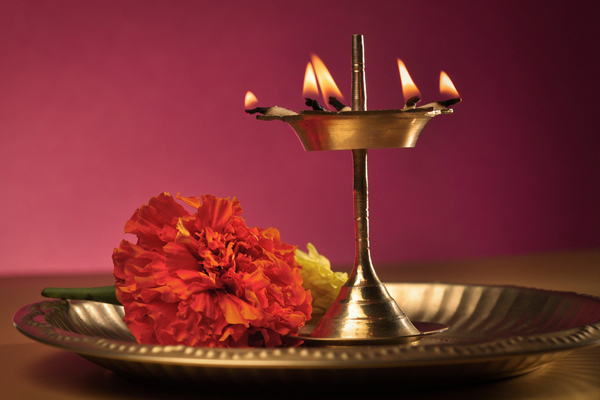 Thus puja is a divine act of expressing our love and gratitude to our ultimate source and connecting with the abundant energy. This entry was posted in Mythology, Puja and tagged abundant, adore, almighty, ancestors, auspicious, awesome, blessings, deity, devotees, dharma, divine, energy, environment, faith, Festival, fortune, god, gratitude, happiness, have a little faith, Hindu, hinduism, pooja, prosperity, puja, religion, reverance, rituals, shubhpuja, shubhpuja.com, supreme energy, worship. The fortunate day when Sun, Moon and Jupiter comes under ‘Mrigshira Nakshatra’ and considered the best for beginning new phases of life; is known as Akshaya Tritiya (अक्षय तृतीया). This is marked as an important day in the Hindu and Jain calendar, for they believe that any venture initiated on this day gives a sure shot success and fortune; since ‘Akshaya’ refers to ‘Eternal’, one which never diminishes or dies. The third Waxing Moon with an exalted Sun, in the month of Vaishakh is widely celebrated as Akshaya Tritiya (Teej). This year Akshaya Tritiya is falling on 21st April, 2015. It is believed that when Sudama visited Lord Krishna for financial help with just a handful of rice, but later felt humiliated to offer them to the rich supreme king Krishna. Lord Krishna comprehended the situation of his dear friend and started eating that handful of rice. Sudama was shocked to see the laurels of supreme Lord when he came back, as now his hut had been replaced by a palace. At once he understood his grace and was gratified for the immense blessings. 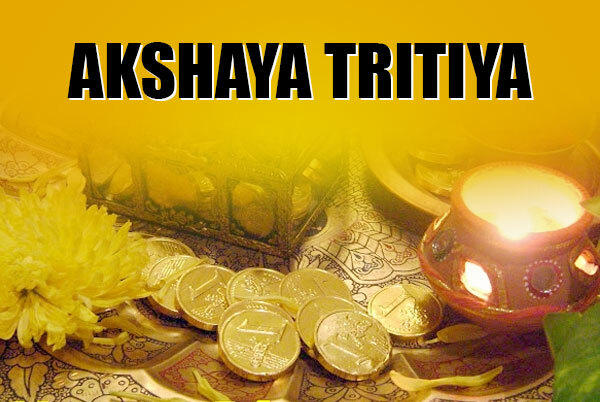 This day of Akshaya Tritiya is celebrated for their bond of friendship and materialistic gains. This day is marked as the birth date of Lord Parashurama, one of the ten avatars or incarnations of Lord Vishnu. It is also referred as an important day because our valuable epic ‘Mahabharata’ was begin writing on this day by Ved Vyasa and Ganesh Ji. The day is also known for the beginning of ‘Satya Yug’- the golden age of truth, which is the first yug of the four yugas. During the period of Mahabharata when Pandavas were in the forest for exile, on this day Lord Krishna provided them ‘Akshaya Patra’. This bowl never went empty and gave unlimited food on demand. This day is identified as one of the special days of the year when the planetary positions are in such a way that our mother Earth is super energised and grants all what is asked or said. The third phase of Moon is capable of attracting positive energies along with materialistic gains. So be cautious to what you say or demand on this day, as the Universe has abundant we just need to learn the art of accepting it. Thus this day is a special offer where devotees invest on the basis of their faith and adore Goddess Lakshmi, Kubera and Lord Ganesha. Sacred animals like Gajas (elephants), ashwas (horses) and cows are also honoured on this day for their sacred powers. This entry was posted in Astrology, Mythology and tagged 21st April, Akshaya Tritiya, astrology, auspicious, blessings, book now, celebration, devotees, divine, faith, goddess Lakshmi, happiness, have a little faith, Hindu, hinduism, Jain, Kuber, Kubera, Lord Krishna, mahabharata, planetary positions, pooja, puja, religion, shubhpuja, shubhpuja.com, sudama, teej, third phase of moon, worship. In the era of science and technology where Indians have reached till Mars and the pace of advancement is so swift and unwavering that it’s nearly impossible to cope up for those of us who are confined in the restricted cocoon. It’s high time to widen our horizons and touch the boundless sky, if we really wish to conquer the speedy world. Considering the worldly purview of achievements, Shubhpuja aims at providing elite quality services and caters the need of varied customers. The linguistic differences often acts as a barrier for a lot of people, as most of us remain oblivious to the holy mantras and ceremonies in Sanskrit or Hindi. When India itself has 22 official languages where we face communication barriers then imagine the comprehending issues for foreigners. 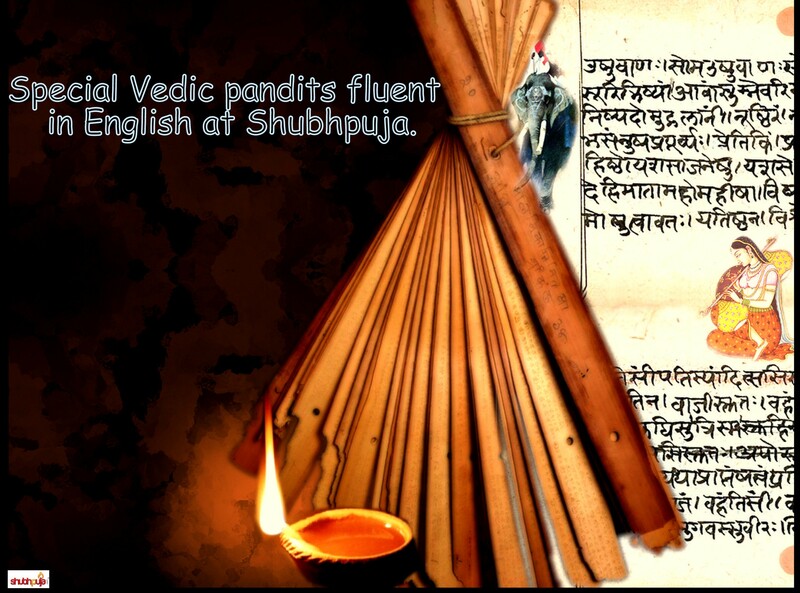 Realizing this major problem faced by a lot of customers, Shubhpuja gives you a one-stop shop for highly educated and experienced Vedic scholars who are not only comfortable in Hindi or Sanskrit but can also provide literal explanation in English. Ceremonies and rituals are beneficial in our lives and if you have someone who can explain you the meaning and essence of the entire ceremony and mantras, then it proves to be a double success for you. Therefore, we provide you Vedic experts, who are fluent in English; especially beneficial for the younger generation of today. They are quite flexible and cooperative and just as the need of the customer, they make you experience a divine journey. This entry was posted in Astrology, Consultants, Puja and tagged astrology, auspicious, blessings, book now, consultation, coverage, customers, dharma, english language, english speaking pandits, experienced, faith, foreigners, happiness, have a little faith, highly educated, Hindi, Hindu, linguistic barrier, literal meaning of mantras, mantras, pooja, puja, puja package, Sanskrit, shubhpuja, shubhpuja.com, Vedas, Vedic scholars. The presence of exuberant and lively events in life breaks the monotony and also provides an opportunity to get over our issues and share the blissful moments with everyone. India being a multi-cultural country, it is best known for its variety of festivals and celebrations throughout the year; which even leads to numerous events on a single day. 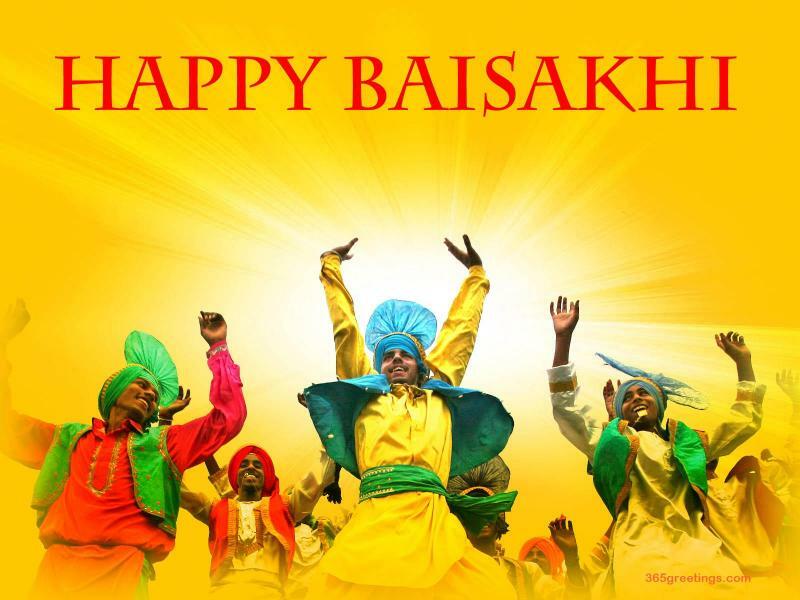 As according to the solar calendar, the North Indians rejoice the fun-filled celebration of Baisakhi on 13th or 14th of April every year but this date is also significant due to so many other major events. Let’s explore a few of them along with the true meaning of this festival. ‘Rongali Bihu’ in Assam, ‘Naba Barsha’ in Bengal, ‘Puthandu’ in Tamil Nadu and ‘Pooram Vishu’ in Kerala is also cherished widely on the same day as Baisakhi. It is marked as a day of enlightenment or Nirvana of Lord Budha, so considered highly valuable for Buddhists. Both the Bengalis and Sikh communities mark this day as New Year or Nab Varsha, so revere it with faith and enjoyment. 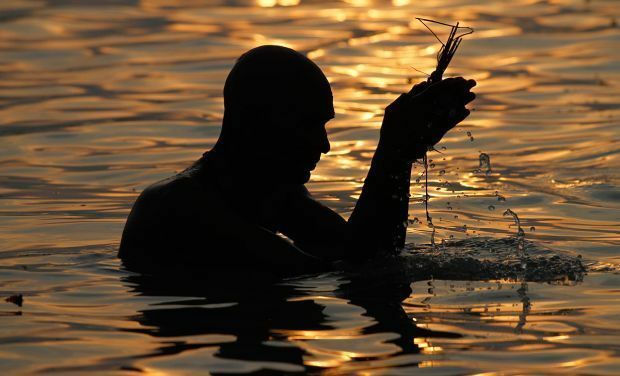 Hindus believe that Goddess Ganga descendent on mother Earth, thousands of years ago; so many of them gather at the religious banks of river Ganga for a holy dip on this day to honour her presence. Swami Dayanand Sarsawati founded the reverend Arya Samaj Mission on this day in 1875 and created history for the forthcoming years. The day of celebration for farmers as it marks the time for harvest of rabi crops. 14th April is also observed as the birth anniversary of Dr. B.R. Ambedkar. High religious sentiments of Sikhs are attached to this festival because it was on this very day in 1699, the tenth Sikh Guru- Guru Gobind Singh Ji created oneness among humanity by organizing Khalsa Pantha (Order of the pure ones). He also named his 5 most beloved devotees as ‘Panj Piare’ after the pious baptism ceremony with Amrit (sacred nectar of immortality). So this date holds a number of significant events on the memorable chapters of history and provides a reason of celebration for all the communities in India. Special Baisakhi fairs and Nagar Kirtan processions are organized along with music, dance, food and gracious blessings. This entry was posted in Puja, Rituals and tagged 14th april, amrit, auspicious, awesome, Baisakhi, blessings, bliss, body, celebration, cultural event, dharma, enjoyment, enlightenment, fair, farmers, festival 2015, Guru gobind Singh Ji, gurudware, happiness, harvest season, have a little faith, Khalsa pantha, Naba Barsha, nagar kirtan, new year, Panj Piare, pooja, Pooram Vishu, puja, Rabi crops, Rongali Bihu, shubhpuja, shubhpuja.com, Sikhs.